Home Drinking with Geeks Tonight: Drinking with Geeks! 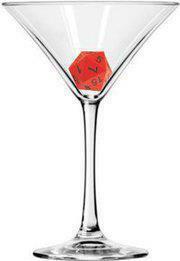 Tonight, the geeks of Minneapolis shall gather at the Bryant-Lake Bowl, united in a mutual love of nerdery, social time, and booze. You want to be there, too, don’t you? Of course you do! Because it’s free! Join us at the Bryant-Lake Bowl at 6:00pm tonight!